John attended elementary schools at Gilchrist Park and Morton Avenue. While participating in Recreational Department football, he was selected to the Dixie Classic All-Star team in 1955 and the Okefenokee Midget Bowl team in 1956. An all around athlete in high school, John was on the track and football teams for fours years and also played baseball and basketball. He was in the first class to attend all four years at the new Ware County High School (1958-1962). In 1960 the Gator football team was region champs and John was picked for the All-Region team. The year of 1961 was even better. In just their fourth year since consolidation the Gators won the region title again with a 2-0 penetration victory over Americus. That was followed by a 19-13 win over Screven County for the South Georgia Championship. The next week they played for the State Championship and lost a hard fought game to Carrollton. 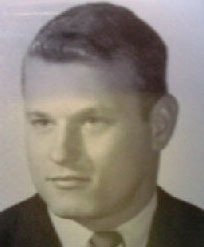 Honors in 1961 included selection to the All-Regions team, the class A All-State team and the prestigious award as Class A Lineman of the Year in Georgia . John was a member of the South Georgia All-Stars who beat the North Georgia All-Stars 7-6 in the annual High School All-Star game. He was cited for an outstanding defensive performance that night. His spectacular exploits earned him a full scholarship to the University of Tennessee at Martin where he played with distinction for your years. After graduating with a Bachelor of Science in Education, he coached football, basketball and golf for five years. He coached at both Forest Park HS and Morrow HS from 1967-1972. He was an assistant coach on the Forest Park team that was the State Class AAA football runner-up in 1968. John received his masters degree in Education Administration in 1972 from West Georgia College. He went to work with Delta Airlines in 1973. The son of Florine and Ernest Howard, John is the brother of Glynda Woodard. John and Edwin Pope are the first teammates to be inducted in the same years since Charles Beverly and Junior Harrison were enshrined in 1987.